Make your message stand out with Picture SMS. Sometimes, it is difficult to describe a product, such as a new food menu, or a property or even a new clothing line. Let the picture do the selling, a picture can tell a story that words alone cannot describe. It is very simple to send SMS with picture. You may refer to the steps below. SMS are directly sent to your customers, keeping them updated on your business activities, be it reminders, promotions or notifications. Only web browser and internet connection required. No additional software or hardware needed. Our core strength is serving the Asia Pacific region. 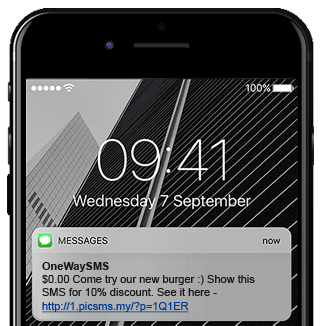 On average, sms are delivered in 5 seconds. Try Before You Purchase, Get 10 FREE Credits!